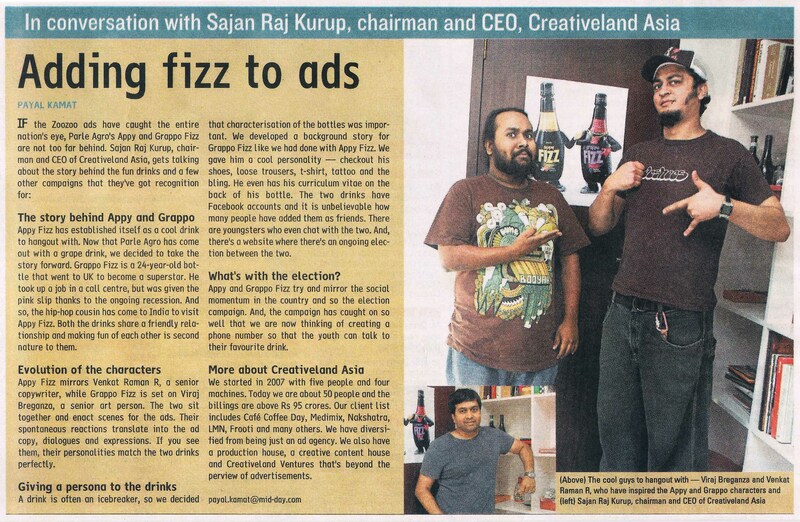 Mid Day spoke to Raj about Appy Fizz and Grappo Fizz. And here is the link to the world’s first friendship election if you havent voted yet. And btw its Viraaj Braganza and Venkatraman R.